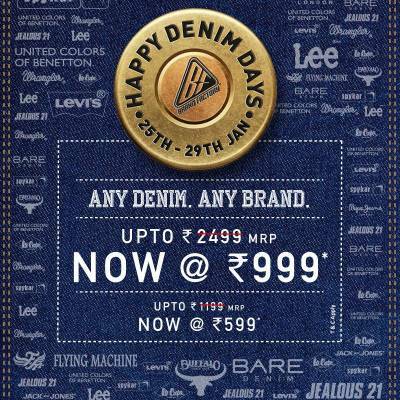 At Brand Factory's Happy Denim Day sale you can grab any denim of any brand which costs up to Rs2499 at just Rs999. They are also running a competition in which 100 lucky winners will receive denims at just Rs99. 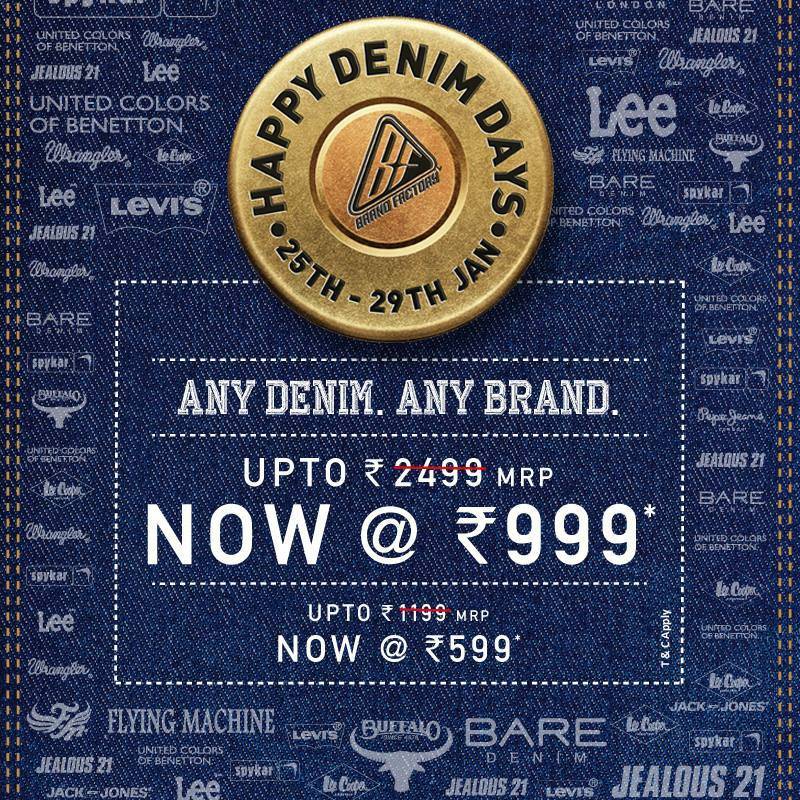 Brand Factory is know for its 24x7x365 days of discount.This time they are taking a step ahead and offering denims at unbelievable price on occasion of Happy Denim Day campaign. Best of brands like Levi's, London Pepe jeans, United Colors of Benetton, Wrangle, Flying Machine are all part of Happy Deni Day Sale.